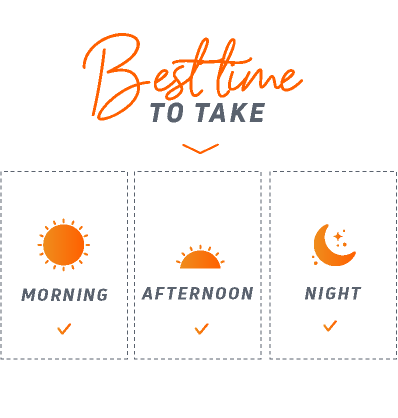 Multivitamin complex especially designed for men. With Saw Palmetto, ALA, CoQ10 and Resveratrol. 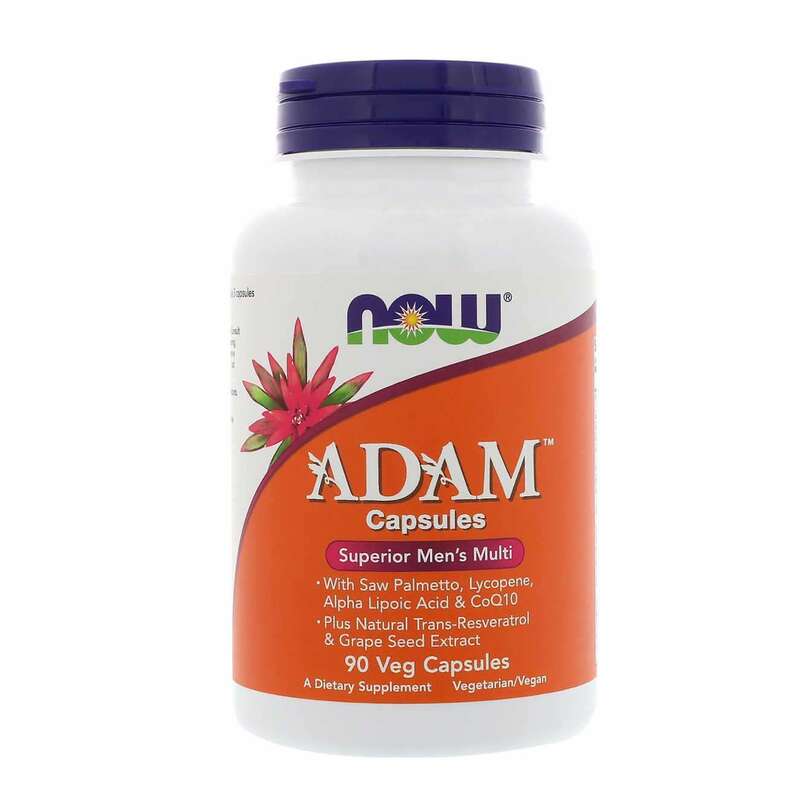 ADAM by Now Foods is a multivitamin complex enriched with herbal extracts that provide all the micronutrients that men need to maintain optimal health. ADAM provides the daily recommended amount of vitamins and minerals for me, essential micronutrients that form part of other important molecules such as enzymes, coenzymes and some hormones, are indispensable for the development of the bodys tissues, work as antioxidants, are necessary for the production of energy, keeping the immune system healthy, among other functions. ADAM contains Saw Palmetto which has anabolizing properties to help muscle growth and raise testosterone levels. It also contains powerful antioxidants, Lycopene, Alpha-lipoic acid, Trans-resveratrol, extract of grape seed and CoQ10. Alpha-lipoic acid provides the metabolism with energy, performs antioxidant duties and is useful in the restoration and use of antioxidants such as vitamin C and E.
CoQ10 plays a key role in the production of energy in the mitochondria, the part of the cell responsible for the production of energy in ATP form. Resveratrol is a polyphenolic compound that is particularly known for its benefits in protecting against free radicals. 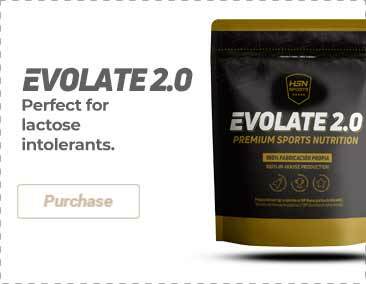 Vitamin A (75% Beta-carotene and 25% retinyl palmitate), vitamin C (calcium ascorbate), vitamin D (ergocalciferol), vitamin E (d-alpha tocopherol succinate), vitamin K (menaquinone K2 and phytonadione K1), vitamin B1 (thiamine hydrochloride), vitamin B2 (riboflavin), niacin (vitamin B3) (niacinamide and from inositol hexanicotinate), folate (folic acid), vitamin B12 (methylcobalamin), biotin, pantothenic acid (vitamin B5) (calcium d-pantothenate), calcium (ascorbate and citrate), iodine (potassium iodide), magnesium (citrate), zinc (zinc bisglycinate) (TRAACS®), selenium (L-selenomethionine), copper (copper bisglycinate) (TRAACS®), manganese (manganese bisglycinate) (TRAACS®), chromium (chromium picolinate), molybdenum (sodium molybdenum), potassium (potassium chloride), saw palmetto (berry) (Serenoa repens), alpha lipoic acid, aloe vera (leaf) (200:1 concentrate), grape seed extract (Vitis vinifera) (standardized for polyphenols), choline (bitartrate), inositol, coenzyme Q10, trans-resveratrol (Polygonum cuspidatum root extract), stabilizer (cellulose powder), glazing agent [capsule (cellulose)], anti-caking agent [stearic acid (vegetable source), silicon dioxide]. Produced in facilities that process other products that contain wheat, gluten, soy, milk, egg, fish, crustaceans or nuts. As a food supplement, take 3 tablets a day with food. Once opened, store in a cool (under 25ºC), dry and dark place. Do not exceed the stated recommended daily dose. Keep out of reach of the smallest children. Nutritional supplements should not be used to replace a balanced diet. For adults only. Consult your doctor before taking the product if you are pregnant, lactating, under medical treatment or if you have a medical condition. The product can vary in color naturally. The package that contains the packaging is to keep it fresh, not edible.